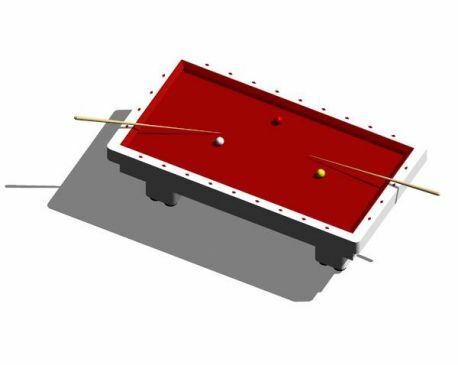 Scale billard table Revit family. All materials are adjusted, family has 3 balls on the table. Works with Revit 2011 and higher. Misc. Models i have created via job requirements.